Marcus Solis has an update on the arraignment of a New York woman charged with killing her fiance during a kayaking trip. 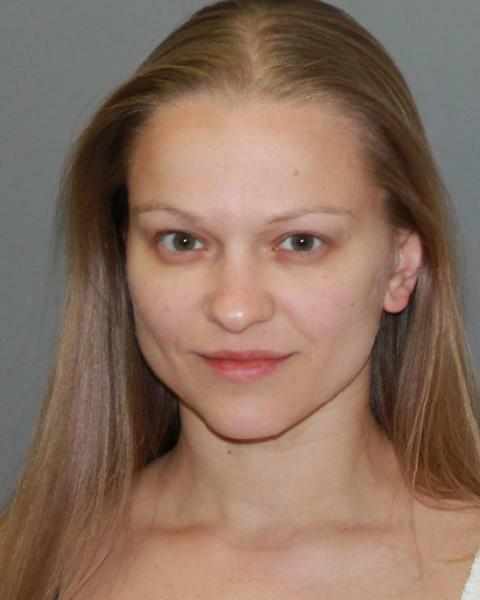 CORNWALL-ON-HUDSON, N.Y. (WABC) -- A New York woman who police say killed her fiance during a kayaking trip is returning to court Thursday. Angelika Graswald was indicted on second-degree murder charges in May. At the time, bail was set at $3 million for Graswald, who prosecutors say was beneficiary of 46-year-old Vincent Viafore's life insurance policy. State police said inconsistencies in Graswald's statements led to her arrest. She originally told troopers she and Viafore were kayaking April 19 when his boat capsized in rough waters near the town of Cornwall-On-Hudson around 7:30 p.m. "I saw him struggling a little bit, he was trying to figure out how to paddle the waves, because they were getting crazy," she said. "And then I just saw him flip." Graswald was found in the water by a boater and rescued. She was treated and released from a local hospital for hypothermia. Both kayaks were located and recovered. Viafore's body also was later found. "From the very beginning, there were some minor inconsistencies," a police officer said. On Facebook, the two appeared to be a happy couple, in a loving embrace overlooking the Hudson Valley, living and loving, always together. According to prosecutors, Graswald later made the following statements to state police: "She stated that she tampered with the victim's kayak. She knew taking those actions would make it difficult for him for him to kayak that day and that those actions would contribute to his death." "She further stated that she watched him go underwater and she rendered him no assistance. While she witnessed him struggling for his life, she stated she felt a sense of happiness and relief. The defendant said it felt good knowing he was going to die. She stated she wanted him dead. She felt trapped and this was her only way out." People who know Graswald said they just can't believe she's charged with murder. "She's a very sweet girl," friend Barbara Gottlock said. "As long as I've known her, she's very energetic, very happy-go-lucky, you know, just a really nice person."